After the Golden Age of classic detective fiction, British writers continued to produce variations on the traditional formula. Other kinds of crime writing, however, also began to emerge, often closely allied to the noir thrillers of American hard-boiled writers. Amongst the more distinctive contributions to British crime fiction were the ‘serious thrillers’ of the 1930s and early 1940s. 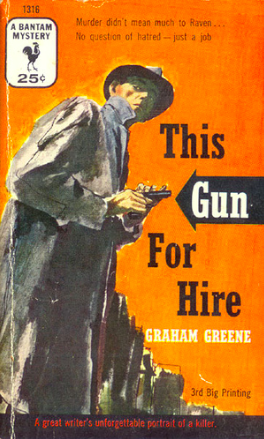 At a time when the main threat of violence seemed to come from the rise of aggressive continental political ideologies, writers like Eric Ambler and Graham Greene created novels (e.g., Ambler’s Dark Frontier and Journey into Fear; Greene’s Gun for Sale, Confidential Agent and Ministry of Fear) which tended to cast the armed gangster in the role of fascist thug and to represent the victim-protagonist as a man who hesitates to act against fascist violence for fear of losing his own humanity. In the immediately postwar decades, a considerably less serious strain appeared in British crime writing. Most of the hundreds of crime paperbacks published in Britain in the late ‘40s and the ‘50s were primarily imitations of American tough guy and gangster pulps – rapidly produced, pseudonymous novels put out by the numerous small ‘mushroom’ publishers that sprang up to feed the growing British paperback market (a phenomenon documented by Steve Holland in The Mushroom Jungle). The appetite for American hard-boiled crime thrillers had started to grow in the forties. Encouraged by the huge success of James Hadley Chase’s No Orchids for Miss Blandish, which sold over a million copies between 1939 and 1944, writers like Frank Dubrez Fawcett, Harold Kelly and Stephen Frances (writing under the names, respectively, of Ben Sarto, Darcy Glinto and Hank Janson, but under other names as well) had by the mid-forties started to produce an astonishing array of short, low-priced crime paperbacks, written at speed, printed on rationed paper, and unashamedly aimed at the mass market. Ted Lewis was one of the key figures in the 1970s revival of British noir. Between 1970 and 1980 he published seven novels, the first of which, Jack’s Return Home (1970), is a harder, meaner version of the ‘can’t return home’ plot recurrently found in post-World War Two American thrillers. 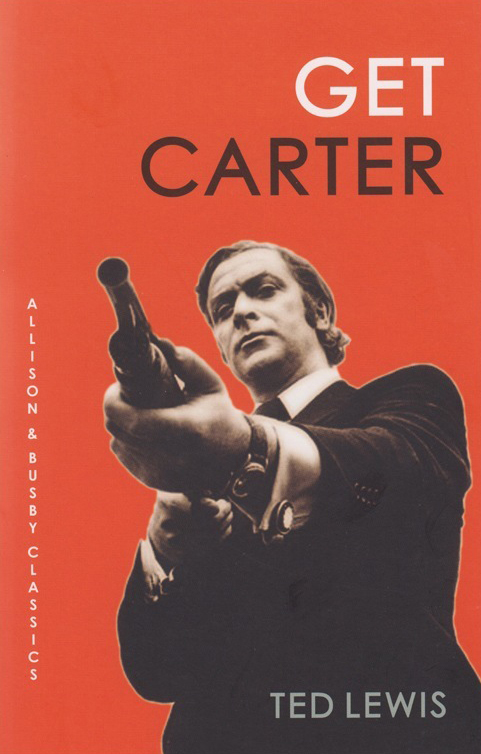 What gives Lewis’ novel (filmed as Get Carter) its power is its terse, unflinching style (unlike many earlier British thrillers, it is hard-boiled as well as noir), its tight plot and its gritty northern settings. Lewis is regarded by many as the finest of British hard-boiled writers – ‘one of the few British writers to achieve in his books the kind of sparse existentialism achieved by the great American creators of violent and amoral anti-heroes. 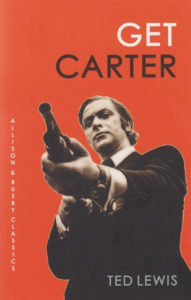 Jack Carter and the protagonist of Lewis’s gangland classicGBH are authentic outsiders and the books memorably evoke the shadowy world of pool halls and gambling dens on the borderland between crime and respectability’ (Rennison and Shephard, Waterstone’s Guide to Crime Fiction). Since the late 1980s, Britain has seen the growth of a distinctively British kind of neo-noir, encouraged particularly by Maxim Jakubowski’s publication of two crime imprints, Black Box thrillers and Blue Murder. These introduced a new readership to the classics of American hard-boiled crime fiction – to writers like Jim Thompson, David Goodis and Cornell Woolrich. Jakubowski also opened his Charing Cross Road bookshop, Murder One, and has played a key role in publishing the work of the current generation of British crime writers. As at the time of Greene and Ambler, contemporary British writers have effectively assimilated thriller conventions with the serious treatment of wider historical conflicts (e.g., Ian McEwan’s The Innocent, Colin Bateman’s Cycle of Violence, Iain Banks’ Complicity). British literary noir has in recent years emerged as a much more distinctive phenomenon, with successive ‘new waves’ of writers creating novels that address contemporary issues and that are capable of appealing to a much wider audience. By the mid-1990s, after fifteen years of Conservative hegemony, British thriller writers were increasingly constructing narratives that aimed to expose what Will Hutton, in his bestselling 1995 critique, called ‘the state we’re in’, the result of failed Thatcherite efforts to bring Britain closer to the market-oriented financial system of the United States, with its economic deregulation and promotion of consumption. The New Wave British crime novelists of the nineties have been strongly influenced by American writers, and they share many of the themes of their American counterparts of the eighties and nineties. These are novels, however, that are distinctively British in tone, style and setting. There are still British thrillers set in the United States (and written in an appropriate style) but, in contrast to the gangster pulps of the fifties, they are very far from being rapid mass-market imitations. More commonly, contemporary British thrillers have been set in Walthamstow (Jeremy Cameron), Manchester (Nicholas Blincoe) or Meadow Road near the Oval Cricket Ground (Ken Bruen) and written in styles recognisably regional: ‘”Vinnie my son,” I goes, “you come off second best mate…”‘ (Cameron, Vinnie Got Blown Away). They are generally, as Ken Bruen’s narrator says of one of his favourite words, ‘Hip, Contemporary. Sassy’ (Her Last Call). In contrast to the ‘Brit grit’ writing of earlier decades (Ted Lewis and others) they offer a much greater admixture of surreal and comic elements, whether they are writing stories of ‘London’s new outlaw underclass’ or of company take-overs played out in London’s yuppie flats and wine bars. But in spite of their lightness of tone, they offer serious criticism of British society and politics. Even writers who don’t link their plotting to actual political goings-on provide some sharply satiric pictures of a society in which material success, desirable goods and attractive surfaces are all founded on crime of one sort or another.